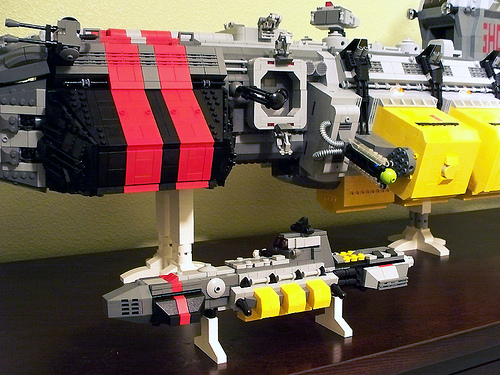 Mike Yoder has been working on a rather impressive cargo SHIP, but he took a break to build a microscale version of his own creation. Mike’s also running the Fanboy Cover Contest, in which builders create microscale versions of another builder’s much larger creation (my favorite so far, the oMICROn Weekend, one post below). I just figured I would beat the rush with my fanboy rendition! Clearly, I am my biggest fan.